Take a look through our comprehensive service plan guide. Our prices are not in the brochure, but are included below the first picture. If you have any questions, give us a call. 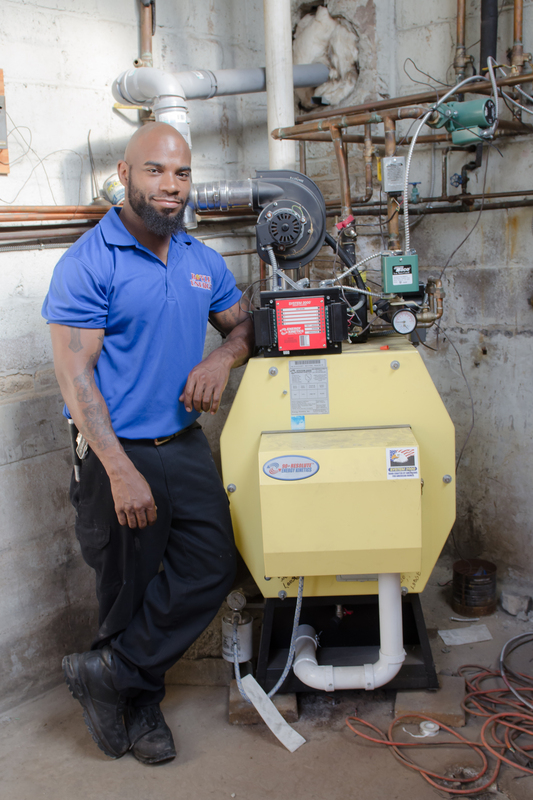 Plan 1 (Tune-up Plan) is not a comprehensive service plan, but a one time tune-up for your gas heater, heat pump, or air conditioner. Boyle Energy highly recommends regular tune-ups every year or so. 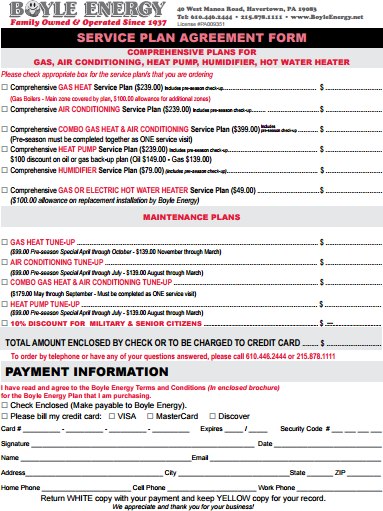 Plan 2 (Comprehensive Gas Heat Service Plan) covers everything listed under that column AND the tune-up plan (plan 1). Plan 4 (Comprehensive Heat Pump Service Plan) covers everything listed under that column only AND a tune-up for your heat pump (plan 1 for heat pumps). Plan 5 (Comprehensive Humidifier Service Plan) covers everything listed under that column only. Plans 6 (Comprehensive Hot Water Heater Service Plan) covers everything listed under that column only.